I would not recommend this book to many people. The concept was intriguing, even if vampires are getting a bit tired. I had half expected this to be a tongue-in-cheek, fun romp, but Mr. G-S chose to make it serious... boringly serious. It could have been better, even with a serious tone, if any of the motivations, actions, or behaviors of the characters had been plausible. Abe himself came across as an angry, bitter child who grew to be an angrier, somehow even more bitter man. And as far as I could tell, his motivations were the only ones that made any sense at all. The vampires themselves were laughably improbable. Far too many scenes within the story struck me as "oh how convenient" or made me think: "really?... you're not kidding, are you... wow..."
I didn't care about a single character in this book, except perhaps Abraham - but I don't know if that was thanks to the author or thanks to my own personal predisposition towards the real-life man this character was modeled after. Honestly, probably the latter, since angry, spiteful Abraham was rarely presented with any redeeming qualities in this book - short of his desire to rid America of vampires, I suppose. Beginning to conclude the reasons why this book was less than recommendable: The story was so very broken up... Maybe in hard copy this wouldn't have been a problem, but the jumping from narrator to journal entry, to letter from person A to person B, back to narrator, was often not only confusing, but outright unfathomable. Sometimes the flow was as bad as "I had only just finished sawing the final log for the cabin I was to be born in, when a vampire undertook to shimmy into my knapsack and cause me no end of trouble getting him back out again. Which is one of the reasons Abraham decided to pick up his ax and shorten the lot of America's vampire population by a twelve-inch. He worked night and day to get that vampire out so he could finish building his birth-house. And when it was done, my mother had a place to lay herself and squirt me out." I obviously made up the above paragraph, as Seth Graham-Smith wouldn't have dreamed of writing anything nearly so light, but hopefully you get the picture of how the flow is awkward. Finally, he doesn't write gore well. Or at least he doesn't write people writing letters about the horrors of war and death in a believable manner: Wrote Private Barksdale to his girl back in Baltimore, "I felt the impact of my commanding officer's white and mushy brains as they spattered across my face, smelling curiously of lamp-oil and moldy cheese. It sounds awful, I'm sure, but I didn't really think so because the same thing could happen to me at any moment and that got me all kinds of zen-ful." Again, a paraphrase and lightened up... but still, I have to ask: What? Who would write that? Has Abraham Lincoln: Vampire Hunter turned you off from other books in this genre? It has turned me off from the Genre of "Clever idea poorly presented," yes. It was hard to tell if the narrator was bad, or if he was doing the best with what he had. The writing was truly painful, but the narrator was... well, his voice was not unpleasant, but his method of changing from one character to another was to not even try. 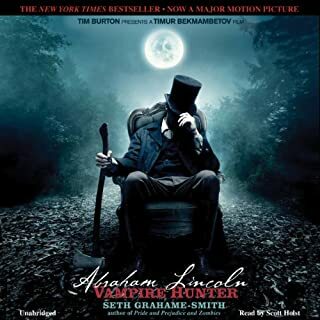 Do you think Abraham Lincoln: Vampire Hunter needs a follow-up book? Why or why not? 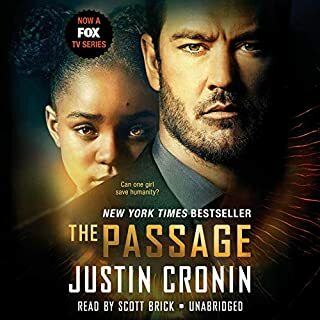 Would you try another book from Justin Cronin and/or the narrators? Yes, I think I would try books by Cronin. I know I enjoyed the narration. The plot was pretty good. I enjoyed everything as it unfolded, though I was occasionally lost during transition. But I attribute that more to the fact that I couldn't actually see breaks in the text. Have you listened to any of the narrators?? ?s other performances before? How does this one compare? Scott Brick is fantastic. 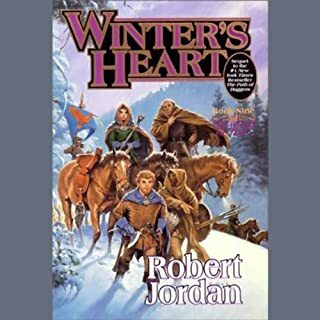 I know some people don't like his sometimes dry-voice, but I found it perfect for this narration, and I think he *gets* his characters better than most narrators I've listened to. I don't believe I would cut any specific character. I believe the story used every character to good effect. This book was great. It started a little slow, but it was epic in length, so I was fine with the gradual build up. What blew me away (in a bad way), was the sudden and inexplicably anti-climactic ending. I don't care about an audio glitch here and there, but this book was saturated with them. Beginning to end the book had (and this is a very conservative number)at least 10 "repeat" glitches where the audio you just heard was repeated. Some instances were only a sentence or two, others were much longer. 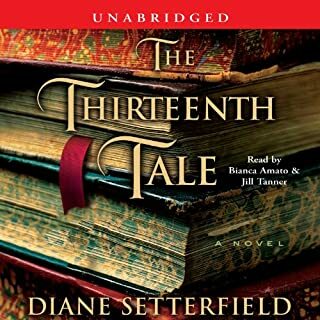 Additionally, at the end of each part, where you normally get a "you have reached the end of a section, but not the end of the book" message, you simply get "Audible thanks you for listening." Not hugely important glitch, but surprising. There was another audio error in the first or second part during the male narration that is choppy and unintelligible. It's brief, but there. All in all, this audio could be cleaned up a LOT. I don't know if it's Audible's fault or the production company's, but it is a sorry excuse for an audio book. As far as the content of the book itself... well, it's one of the more long-winded-and-nothing-happens installments, but at the same time it contains a few of the most important events of the series. There should be an abridged version. I love a story that doesn't take a month to get to the point. And a thriller that gets to it is even better. If I'm going to be creeped out, I need to really care about the character, so generally a book needs to spend some time introducing you and explaining why you like the protagonist. It's easier to do that if the protagonist is a child. Young enough that you can immediately like them and want them to win, but old enough that they aren't completely helpless (making their victory unbelievable). Gaiman has done this, and done it well. Coraline is a nice girl. Too bad about creepy reflections of her parents that want to adopt her now that her real parents have gone missing. The audio is fantastic. The singing rats were creepy. I loved the song that opened the reading. Kind of wished there was more to it. Sadly, I wasn't familiar with Gaiman before I saw the movie Stardust. 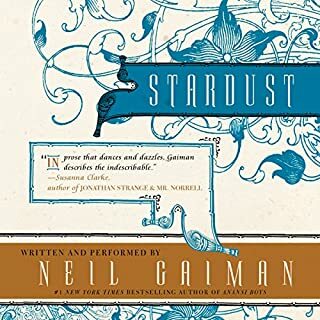 Gladly, I started reading Gaiman after I saw Stardust without realizing that he was the original author. I loved the movie. But the book, as usual, had elements which just wouldn't have worked in the movie, even though the movie did follow the basic plot of the book rather well. In theory a book *should* be narrated by its author, after all who knows best the inflection and attitudes of the characters in the book? In practice, a professional narrator does a better job, even though the inflections may not always be exactly what the author intended, sometimes the interpretation is actually better! Exception: Neil Gaiman. Gaiman is an astute reader of his own work. His voice is clear and he really does understand his characters well enough to keep the reader believing them. Fantastic book. Contemporary fairy tales make me smile. Henry doesn't think he'll ever be able to get his mind off his parents' divorce. That is, until he meets Pyrgus Malvae, prince of the faerie world. 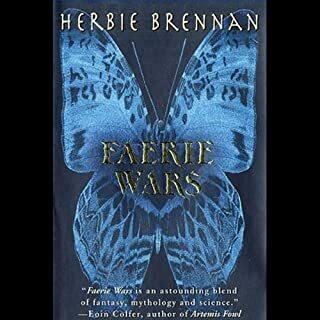 Now Henry must help Pyrgus return home to fight the evil Faeries of the Night. One of the best books I've listened to! What a surprisingly fun book! Well narrated, it started off completely different from what I was expecting from a book with Faerie in the title. By chapter two, I was confused about what was going on. By chapter three I understood what was going on and was very pleased. The good guys aren't completely good, though they try hard. The badguys, on the other hand, are pretty much badguys, which usually bothers me. I generally think even evil people have something good to their character... but because there are a variety of badguys in this book, and they are each a different *kind* of badguy, there are varying tiers of evil which makes the badguys feel more three dimensional without the reader ever feeling a need to empathize with them. 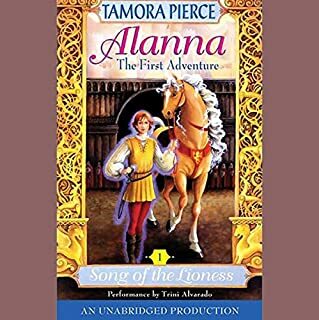 After Alanna I wanted to give Pierce another chance, with one of her later novels, so unfortunately I got Wild Magic. I can't even review the story, the narration was so distracting and bad that maybe an hour or two into it I just couldn't go on. The idea of having multiple voice-actors doing the speaking parts was novel and could have been good. The problem was that the main narrator, the "she said/she thought/etc." narrator, was TERRIBLE. She sounded like she was reading a script and doing so badly. Clipped words, over-enunciations, obvious separations between words. It felt like a bad reading, not a narration. I just couldn't handle it anymore. 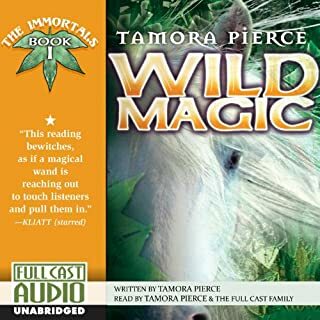 So even though I don't know whether or not Wild Magic is worth a read, I can say that this particular audio recording of the book is not worth the money... or time. The book was amateurish. The story was predictable from the beginning to the end. And it almost certainly is suited perfectly for its intended audience which, I'm glad to say, isn't me. From what I understand, this was Pierce's first novel, so I the amateurishness of it is completely forgivable and I listened to it all the way through only cringing ever now and then. Mostly, the story just didn't mean much to me. I've read the same story from a male perspective probably a dozen times from a dozen different authors. So if you want to encourage your 12 year old daughter to pursue fantasy reading, and she just can't understand the "boy books", then maybe this is the right place to start her off. The narration is pretty decent. Nothing sticks out about it as particularly good or bad. Not bad... not the best, but not bad. I'm very fond of Neil Gaiman and have enjoyed all of his books that I've come across so far. 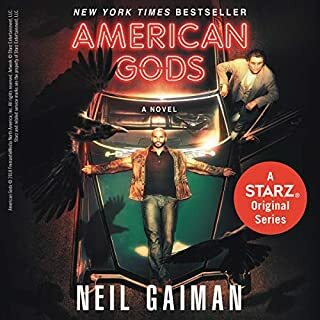 I'm not sure where I'd rank American Gods, but probably not at the top of the list. The first chapter of the book was especially predictable, which is not a big deal, since it's only setting up the rest of the book. Contrary to some of the other opinions offered about this book, I thought the technology god and all his contemporaries were appropriate. 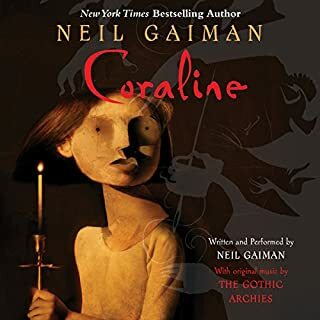 I can't presume to know what, if any, social commentary Gaiman was trying to make, but the book rang true to me as I look around and see what my friends, my family, and I spend so much time doing. We use a lot of technology. I've often thought: "What would I do without technology." Even though I remember a time when black and white 13" TV's were still in fashion, I can't imagine turning back the clock to those times. I *need* highspeed internet and a cell phone. In a sense I worship technology. And I'm not alone. So in a world where our unintentional idols are born into honest-to-goodness deities, I found Gaiman's take on the matter to be stupendous and fun. Also, I learned a lot about ancient deities from the world over. And besides which, that isn't even the point of the story! That's just a premise. The actual story is about Shadow (the protagonist's actual name) and his journey as he learns about these gods as well as other gods who've existed for centuries, and his interactions with them. Why is he important to them? This is the story. I did find it a bit over-the-top in the gratuitous obscenity department on at least one occasion, but then... it was so over-the-top as to be ridiculous and silly. Either way, not really my cup of tea. The story was fun, beginning to end. And the narrator was very skilled. Enjoyable to listen to, talented for keeping different voices tied to the correct character. Fantastic work! If you like Gaiman, you'll probably like this book. This book was not at all what I was expecting but I was certainly not disappointed. The narration was very good. I kept thinking "This narrator sounds so ... melancholy" which I understood the character herself to be. The second narrator was also very good, inflective and driven. Very good voice acting from both women. The story itself is very well told. I loved every moment of it, from the very beginning to the last sentence. What I loved most about it, was the fact that it isn't one story. It's several stories woven together so masterfully that you don't really feel like there is any segmentation from one to another, even when the story-within-a-story is very obvious. I was surprise to learn that this is the author's first published work. I certainly look forward to additional titles from this very talented story teller.